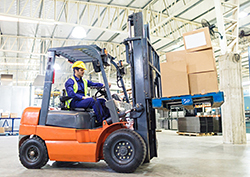 Studies and research show that around 40% of the forklift-related casualties are due to forklifts tipping and almost 25% of the fatalities result from the collision of a forklift with other surfaces. Driving a forklift requires knowledge of the equipment as well as expertise and skills to handle it. As such, forklift training is crucial if you are looking for a job as a forklift driver in Canada. Also, recruiters and staffing agencies require candidates to undergo training. 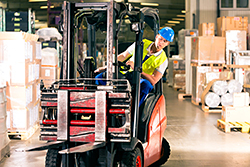 In addition to putting the workers in danger, forklift accidents also endanger the production. Over time, even small damages such as banging up the vehicle against the racking can become severe problems for a company. This often increases the cost of production. In addition to this, forklifts that have been in an accident will require repairs to bring them to working condition. Such repairs also increase the cost incurred by the company, ultimately leading to a decrease in profits for the organization. According to the Occupational Health and Safety Act, there are many causes for the casualties that occur in workplaces such as shifting loads, collisions, tip-overs, and lack of an effective safety program. The Act requires the forklift recruiter to establish a candidate’s competence to operate a powered lift truck. Forklift operator jobs can provide a viable long-term career. However, those looking for job opportunities in this field are usually not aware of immediate openings for employment. This is where a staffing agency can help you. Winters Technical Staffing is a reputable placement agency in Toronto. We have the experience and resources to help you land a job you deserve with the right organization. If you are looking to establish your career as a forklift driver, get in touch with our consultants by calling 647-556-2408. You could also fill out our online form if you have any questions or concerns.